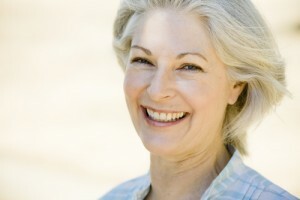 Fine lines and wrinkles often receive the most attention when individuals complain about common signs of aging. However, facial volume loss very often occurs as a result of the natural aging process, emphasizing these unwanted changes. Volume loss creates larger issues, such as under-eye bags and hollows as well as creases around the down-turned mouth corners and nasal creases. If you’re experiencing age-related volume loss and desire a fuller, firmer, more youthful look, our highly experienced plastic surgeon, Dr. Mark Richards, offers an integrated approach to facial rejuvenation that will be designed to optimize your results. He can customize a treatment plan incorporating cheek lift, dermal fillers, and other methods to suit your unique concerns and cosmetic goals during your initial consultation. As you age, the skin begins to lose collagen and gravity begins to slide facial tissue south, typically leading to a “sunken” older appearance in the midfacial area. A cheek and lower lid lift or lasering from Dr. Richards can help to restore the tissue to its former more youthful position with long-lasting results. Additionally, with the appropriate combination of non-surgical treatments you can achieve more comprehensive aesthetic enhancement that best suits your features and provides the most natural-looking results possible. Some of the other treatments Dr. Richards can utilize to complement your procedure include: JUVÉDERM®, BOTOX® Cosmetic, and Sculptra® Aesthetic. What happens if there is not enough facial fat to lift? Sculptra® Aesthetic is a unique, FDA-approved dermal filler that is designed to provide gradual facial rejuvenation through the stimulation of collagen production. Dr. Richards can administer this treatment either before or after a cheek lift for more comprehensive results. The benefits will continue to develop over the course of approximately five to six months, typically lasting at least two years and as long as four or more. Customized treatment can help to ensure your outcome is appropriate for your needs while providing the subtle, natural-looking enhancement that you desire. If you would like to learn more about how to combat volume loss, or if you would like to schedule a consultation with Dr. Richards, please contact us today.